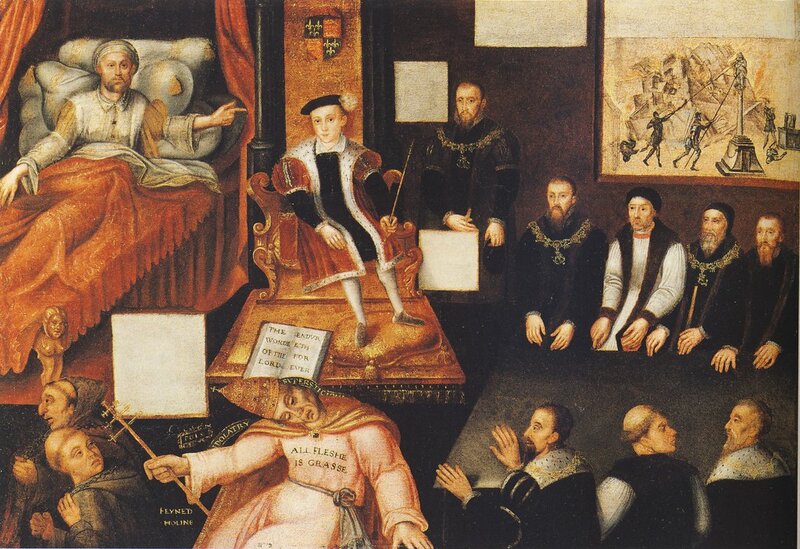 Before Henry VIII quarrelled with the Pope and established the Church of England, England had been a faithful Catholic country for centuries. In the days before the annulling of his first marriage became such a political issue throughout Europe, Henry too had been a faithful Catholic, and had earned the title of "Defender of the Faith" for writing a piece of work against the new Protestant religion. But when it became clear to Henry that he would not have a son by Catherine of Aragon, he was determined to have his marriage to her annulled, so that he could re-marry and father a son to succeed him. What Henry had to do to secure this, changed the course of English history forever. Catherine of Aragon would not agree to an annulment, which would make her daughter, Mary, illegitimate and unable to succeed to the throne, arguing that she was Henry's true wife, and had always been so. 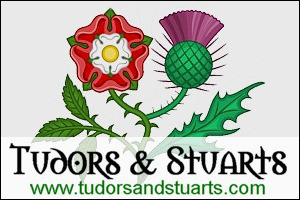 In Tudor times, there was no divorce as such - that is the dissolving of a legally valid marriage - and couples who wanted to part had to seek an annulment, which would be the acceptance that they were never truly married in the first place. An annulment could only be granted in certain circumstances - such as one or both of the partners had been too young to marry, or the marriage was not properly conducted, or the couple were too closely related by blood. It was the latter that Henry initially used to try and obtain the annulment. Catherine had been the wife of his brother, Arthur, and after his premature death, married Henry. It said in the Bible that it was wrong for a man to marry his brother's wife, and if he did, they would have no children, and Henry interpreted this as the reason for his lack of sons. 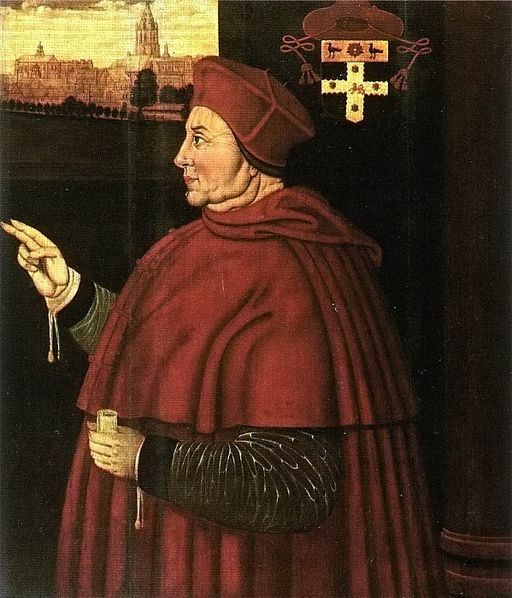 Henry had his chief statesman, Cardinal Thomas Wolsey, put his case to the Pope, who was in charge of annulling marriages. He hoped the Cardinal's influence with the Pope would help secure the annulment. However, Wolsey was not successful. Catherine was the aunt of the great Emperor Charles V, the most influential man in Europe, and knowing how Catherine felt about the annulment, the Pope could not afford to offend her great nephew. Wolsey's failure cost him the King's favour and he died disgraced in 1530. Henry continued to try and get an annulment from the Pope, but even after several years the Pope was unrelenting. Henry realised that if he wanted to re-marry, he would have to find another way of annulling his marriage to Catherine. He and his ministers found the solution in establishing a Protestant Church of England which would be totally independent of the Papacy. Protestants did not recognise the power of the Pope, and so Henry as King would be free to mould the church in whatever way he desired. Henry made himself "Supreme Head of the Church in England", and got his annulment, making him free to marry Anne Boleyn. As head of the Church, Henry was effectively in charge of the Archbishops, Bishops and all the clergy that the English Church still retained. In fact, in many ways, the new English Church was very similar to the old Catholic Church. Henry was arguably a Catholic at heart, and changed the beliefs of the Church very little. But in other ways, the change of religion in England had enormous repercussions for the country. The monasteries and convents of the land, which had grown rich over the centuries, fell prey to Henry and his ministers, and were all closed. Henry was covetous of their wealth, and his ministers declared publicly that monks, nuns and friars were living immoral rather than godly lives, living lives of luxury rather than of humility and poverty that was expected of them, eating good food, drinking good wines, and even keeping mistresses and lovers. This was probably untrue in the majority of cases, and simply a propaganda tool by the government to justify their action against them. Towards the end of his life, Henry began to turn once again to Catholicism, and his apprehension over the way he had treated the monks, nuns and friars, is reflected in his dying words, "monks, monks, monks".